Chi Omega’s national philanthropy is the Make-A-Wish Foundation, a non-profit organization that grants wishes to children diagnosed with critical illnesses. The purpose of the wish experience is to bring joy and renewed inspiration to children battling life threatening illnesses and to their families. This joy trickles down to the donors, sponsors, and communities that join together to make these wishes possible. Since the start of our partnership in 2002, the Chi Omega Fraternity has raised more than 20 million dollars and has volunteered over 1,000,00 hours to benefit the Make-A-Wish Foundation. As a chapter, we have a strong commitment to our philanthropy. 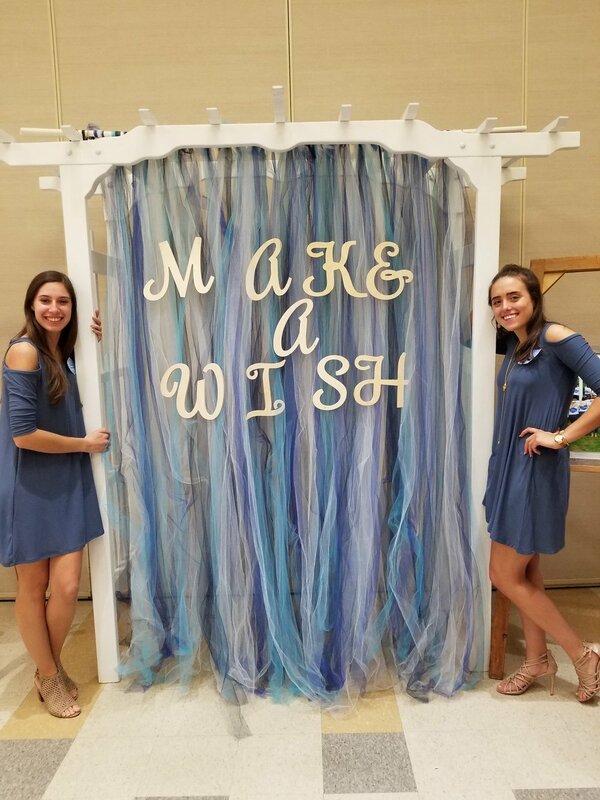 Each year we host a variety of events to raise money for the Massachusetts and Rhode Island Chapter of Make-A-Wish, including Wish Weeks in the fall and spring, Wish Night, and Swishes for Wishes, among others. We are incredibly proud to say that we granted our first wish in the fall of 2017 to Bethany, a young girl battling a gastrointestinal disorder. Bethany used her wish to travel to Disney World with her whole family. We were honored when Bethany and her family attended our Wish Night and shared their story. Now, we are looking forward to raising enough money to grant our next wish!